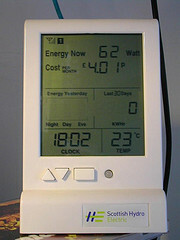 Chris, intersting to read your blog about measuring your energy consumption. What is the software you are usining to represent your data. Also what is the voltage you have in Australia and cost per kilowatt hour. 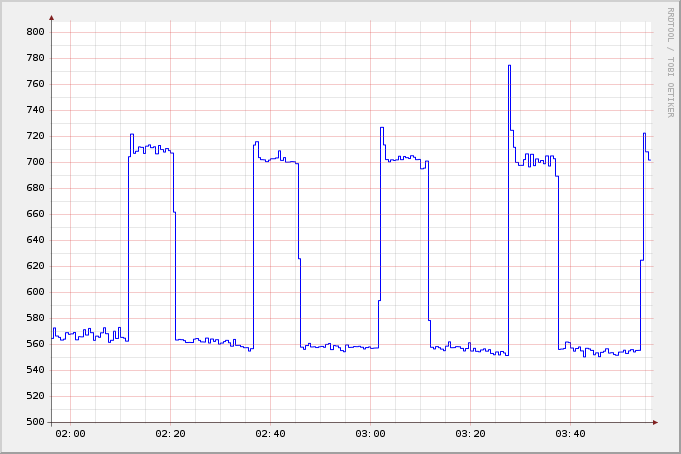 Hi Mark, I’m using rrdtool to store and visualise the data. We use 240V in Australia. I pay around 17-20c/kwH – it depends on how much we use – it starts out cheaper and gets more expensive as we use more. I don’t know of a place you can buy them in Australia (a work colleague got one for me from the UK). Best bet is to get one shipped from the UK, though I have heard they may have a NZ distributor (but I don’t know who). It took me a while to identify the original product name, but upon doing so I found a simple perl script at http://www.jibble.org/currentcost/ and was reading data from it within minutes. Thanks Dan – that’s great news. Much easier to get them from Jaycar than overseas. Hopefully they’ll be stocking the new versions of the CurrentCost soon. Here’s a funny thing. I wasn’t getting any readings on my CurrentCost setup after installing it earlier tonight and was about to box it up to send back as faulty. Then Google turned up your very helpful article Chris, with the helpful installation picture by PixelFrenzy, causing me to move the clamp from a thick cable to the “live”/red one going to the fuse box, and now I’m getting readings! So here’s to you for taking the trouble to fully document the set-up for those of us too dozy to think clamp placement through. It’s obvious now why it wasn’t working when I first tried it. 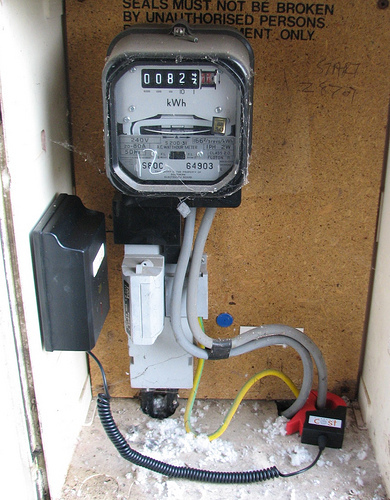 Jerry – glad it helped At first I made the mistake of putting the clamp on the active wire going into the existing meter instead of the one out, only to discover later on that the old meter itself consumes a measurable amount of power.